TO THE THINGS THAT LIGHT YOU UP. BUY THE TICKET, LAUNCH THE SITE, TAKE THE CLASS. STARS ALIGN, PEOPLE SHOW UP, OPPORTUNITIES FALL INTO PLACE. Self Love. Balinese Culture. Rice terraces. Sacred Temples. Flower Baths. Rituals. Big dreaming. Infinite possibility. Sound Healing. Girl's nights. Deep Conversation. Belly Laughs. Mouth Watering Meals. Candlelight. To soak up the blessings, to indulge your senses, to be in awe? You're looking for me to give you answers for your life. That is a very intuitive and internal process. I love dreaming of possibilities and am happy to explore life directions and share my process with you, but I believe that when you tune in, you'll know more about what you need than anyone else ever could. I also don't believe that there's a "10 steps to happiness" that will work for everyone. You're looking for an opportunity to work through problems from the past. It's really important to address those things, but a licensed therapist would be more qualified to guide you through that process. We'll be noticing limiting beliefs and will be focusing on positivity, pleasure and the present moment. There is nothing about you that needs fixing. Rituals, candles, and laughter are your thing. 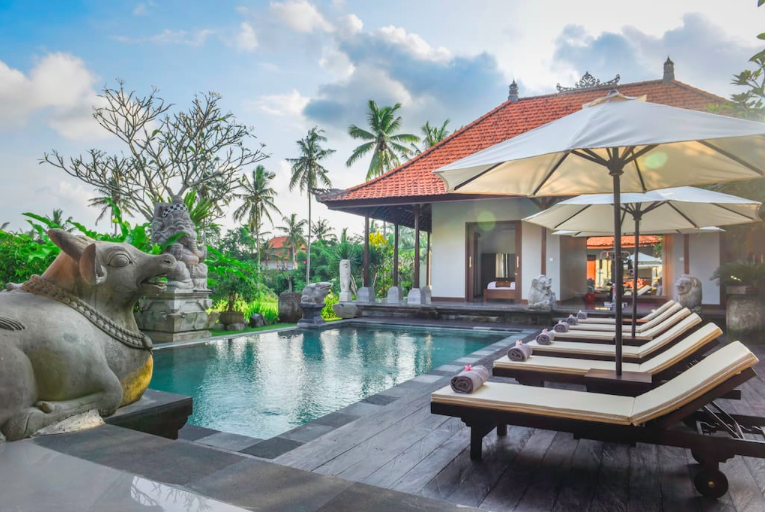 You love new cultures and the thought of experiencing Bali makes your heart sing. You value both deep rooted wisdom and having a badass time. There will be times when we'll be serious and going within and times when we'll be bumping Beyoncé. You're ready to play with new ways of thinking and ways of navigating through life. You LOVE that traveling internationally comes with unexpected surprises and plot twists. You know that delays and changes of plan just make for better stories and new friends. and to reserve your spot! HOW TO SIGN UP: Fill out this form below and pay your deposit HERE! CHECK IN anytime after 5PM on September 13th. CHECK OUT by 11AM on September 20th. WILL I NEED TO APPLY FOR A VISA? If you have a US passport, you get a FREE 30 day VISA ON ARRIVAL. If you intend on staying longer than 30 days, you have to pay for an EXTENDABLE VISA at the airport and there will be additional fees to pay and an application process to extend. MOST LIKELY. Basic dietary restrictions can generally be fairly easily accommodated (vegetarian, gluten free), but if you have FOOD ALLERGIES or strong reactions to certain foods, email me to chat about it first. Due to the potential language barrier, there can often be mix ups about ingredients and misunderstandings about dietary needs. ANYTHING I NEED TO KNOW ABOUT MOBILITY & ACCESSIBILITY? There are uneven surfaces and a crazy amount of stairs almost everywhere. I would recommend waiting to visit Bali if better accessibility is needed. YES-ISH. Our villas come equipped with WIFI, but you won't have cell service on your phone unless you have an international plan or a local SIM card. WIFI can also be found at many cafes, but WIFI all over the island can be spotty so come mentally prepared to disconnect and be present during your days. ARE THE ROOMS DOUBLE OCCUPANCY? YEP! 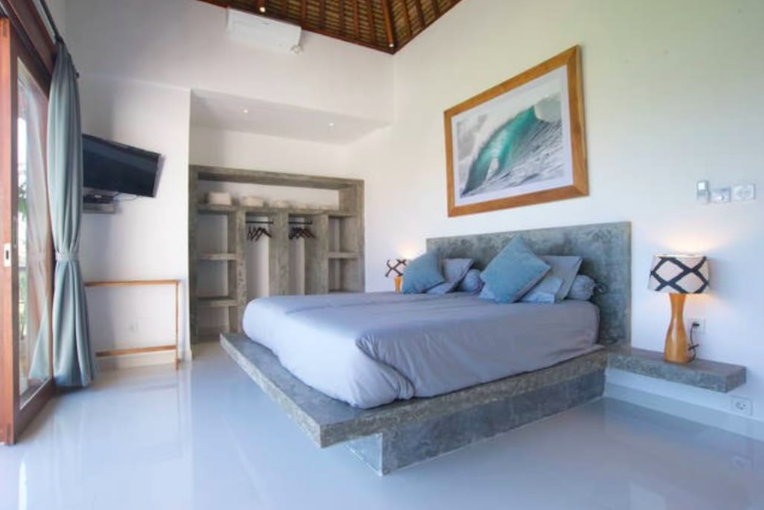 The rooms are DOUBLE OCCUPANCY in the Ubud villa and DOUBLE OR TRIPLE OCCUPANCY in our beach house. IF YOU HAVE A TRAVEL BUDDY THAT YOU'D LIKE TO ROOM WITH, LET ME KNOW. Otherwise I'll pair you up with someone wonderful. If you'd like a room to yourself, let me know and we can arrange it for an additional fee.